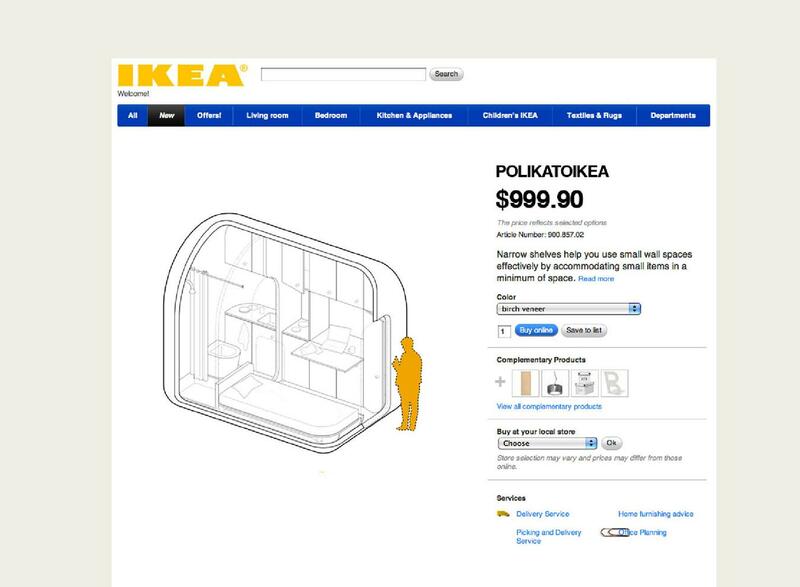 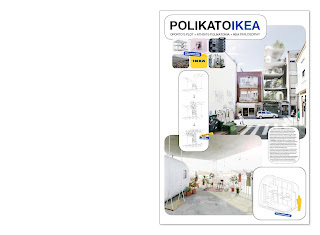 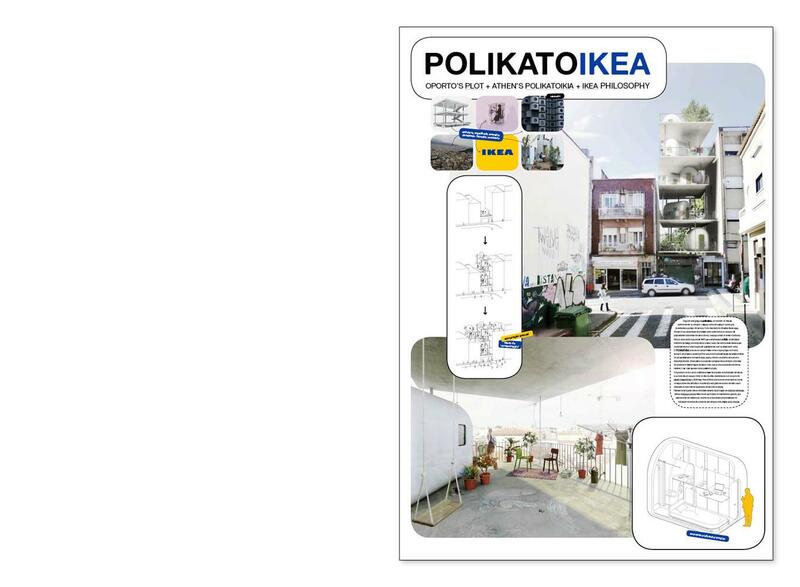 ‘Polikatoikea’ seeks a compromise between a greek rule (polikatoika) and a swedish philosophy (ikea). 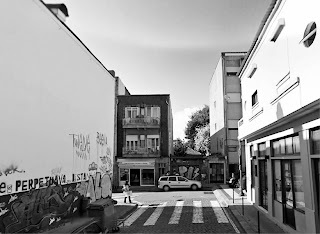 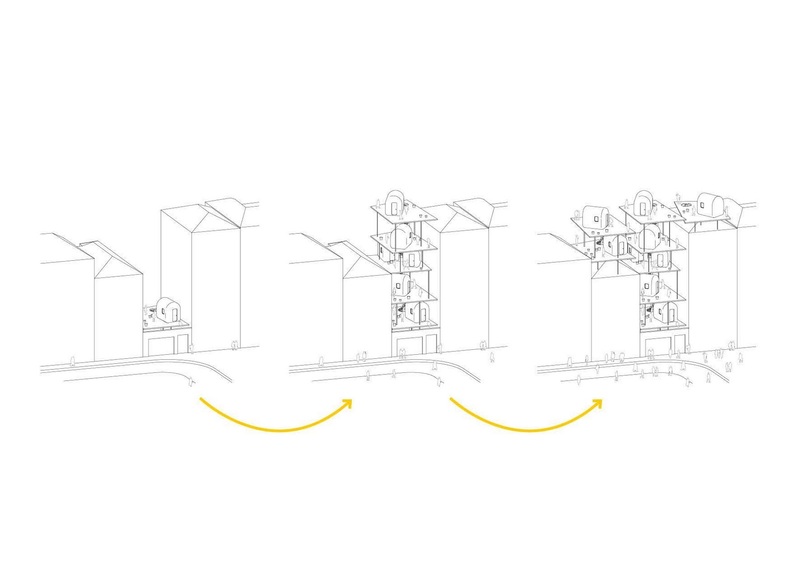 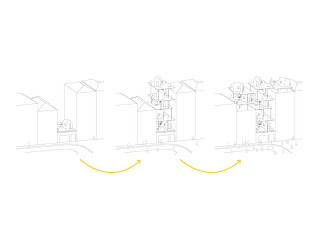 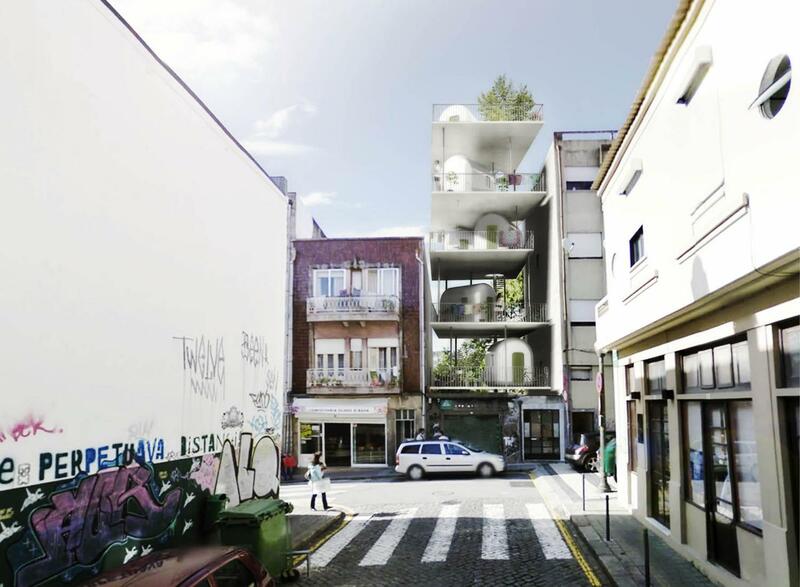 The project is an (almost) politic move that seeks the densification of the city through a low-cost construction targeting a young and unattached client. 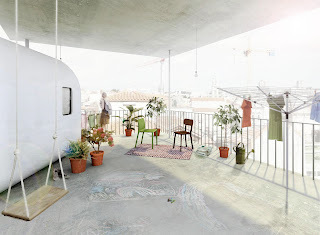 (On a conceptual level) the project attempts to provide an idea that fights the ‘desertification’ where, in face of an unstable economic conjecture, the low cost appears as a possible (and affordable) solution. 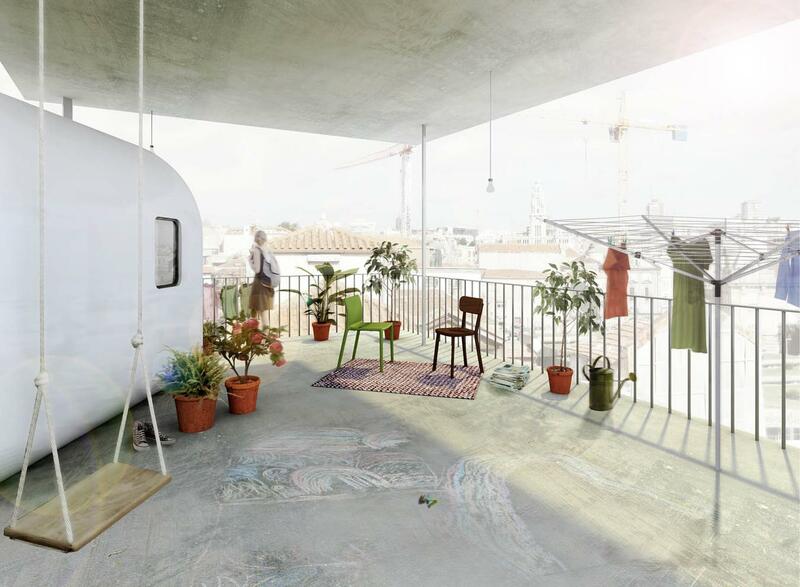 The backyard is seen as the basic element of the proposal: it is abstracted and repeated on every floor unfolding a series of new public platforms. New terraces are proposed above the previous rooftops using simple structural solutions, offering more square meters to the city without leaving the plot. 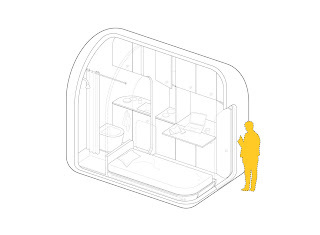 In these new places density is created by placing individual capsules, bubbles of private space. 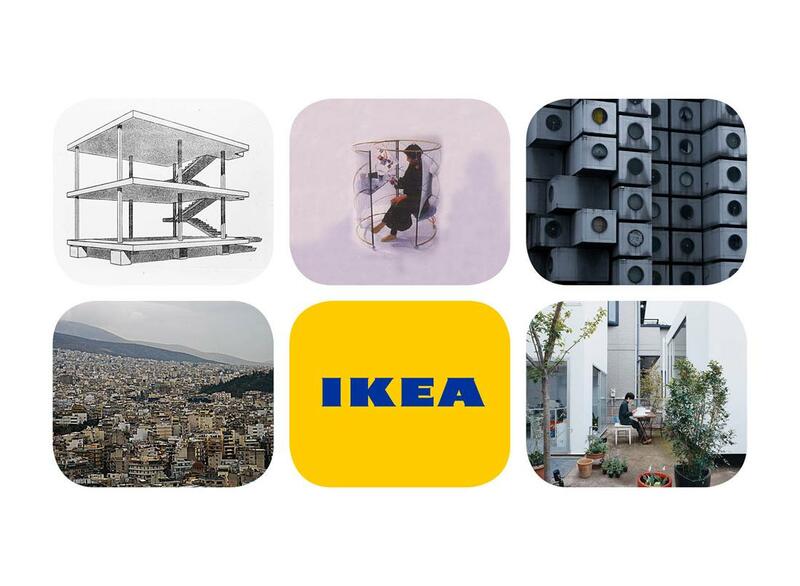 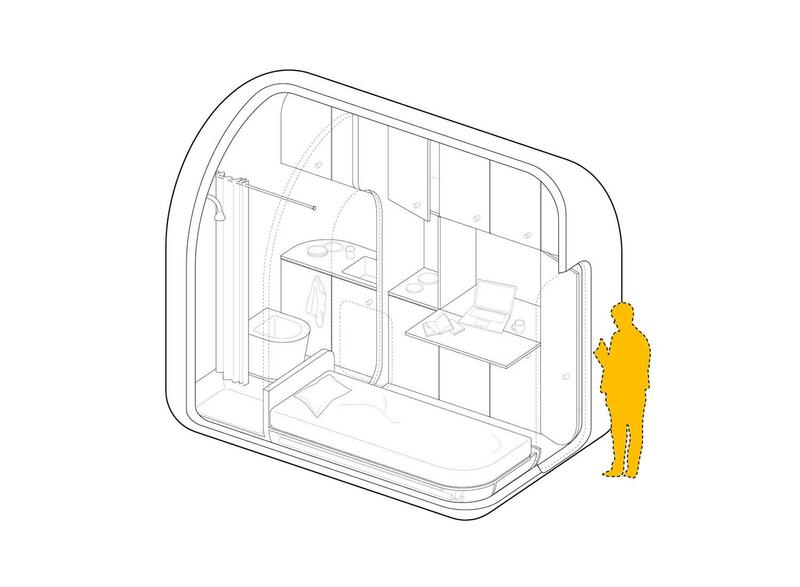 Thinking about japanese metabolist principles, which seem increasingly current, the capsule becomes the ‘house’ filling all the contemporary basic living needs.